Okay you know how this goes, I talk about the first one and then the squeal comes out and I review that. This movie has beautiful animation and the 3D was actually pretty good. With focus maintained on the well developed story and fantastic visuals, this animation film soars (literally and figuratively). It boasts exhilarating action/flying scenes, distinctly memorable dragons, and some charming moments. Engaging for all ages. This is the best children's movie that has come out in awhile that isnt PIXAR. Creative and fun with somethings for kids and adults of all ages. It is my 7yr old's favorite movie. A highly entertaining visual treat! Hiccup (Jay Baruchel) is a sarcastic young Viking who wants to be "cool" and demonstrate the strong and fearless Viking traits, but he's scrawny and doesn't fit in as a dragon-battling Viking; and as a result isn't anything like his dad, an intimidating and fearless Viking warrior chief, Stoick the Vast (Gerard Butler). No posts have been made on this movie yet. 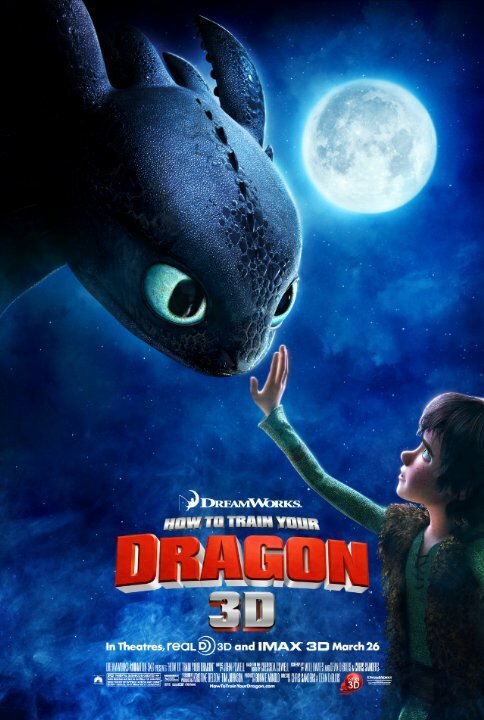 Be the first to start talking about How to Train Your Dragon!